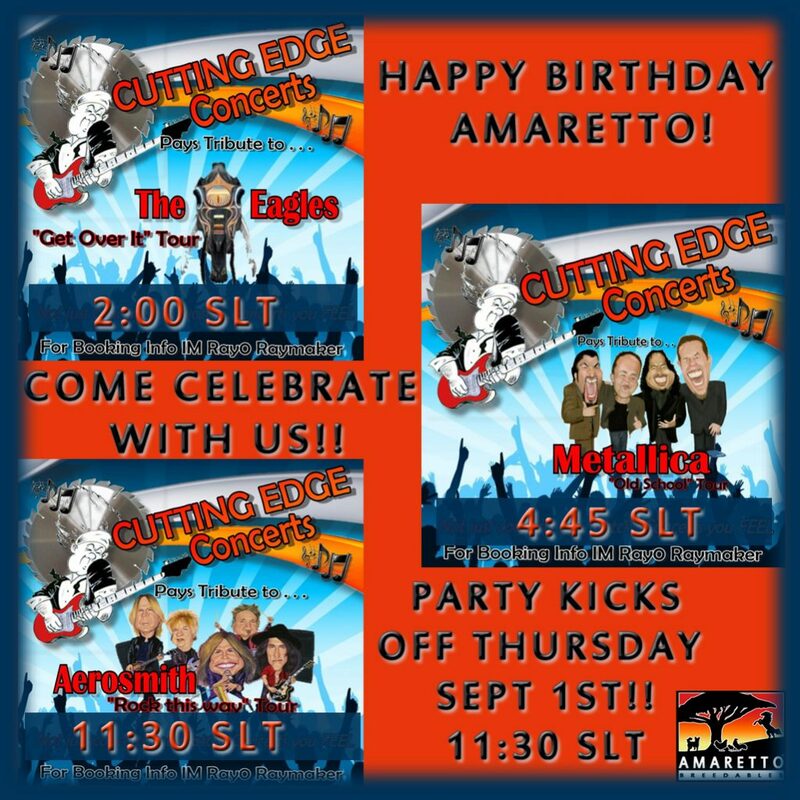 So I know that many people are on pens and needles, wondering and waiting to see what Amaretto will do for their birthday! Well I cant give all the secrets away but I did want to announce that we will be having a party!! On Thursday September 1st! Now if you attended our last party you know we do it big! So it wil be held in the same place however we have added another sim so that we can hold more avatars in world. There will be 3 concerts over 4 sims with lots of fun and give a ways!! We hope that our community will come out and celebrate with us! Details will be released as we approach Thursday! !